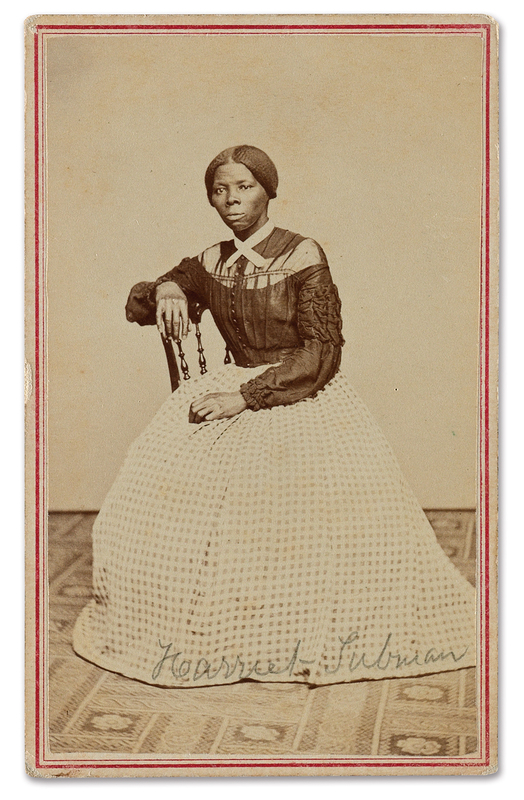 A previously unknown photograph of Harriet Tubman has been found in a carte-de-visite album compiled in the 1860s. She is seated, immaculately clad in a gingham skirt and dark shirt with gathered sleeves. It was taken shortly after the Civil War, between 1865 and 1868, and captures a younger, less care-worn Harriet than she is usually pictured. [Historian and Tubman biographer Dr. Kate Clifford] Larson said that in her 20 years of researching Tubman, she’s been sent dozens of photos of black women by people claiming to have discovered a new image of the soon-to-be face of the $20 bill. But not one has actually depicted Tubman, Larson said. On the other hand, she continued, she knew it was Tubman in Swann Galleries’ photo as soon as she saw it. The album belonged to Emily Howland, an abolitionist and educator from a prominent Quaker family in Sherwood, New York, whose childhood home was a stop on the Underground Railroad. She taught at schools for free blacks in the late 1850s, and during the Civil War taught freed slaves and the children of slaves to read and write in the contraband camps of Union-occupied Virginia. After the war she donated land and founded dozens of freedmen’s schools in multiple states. Tubman escaped slavery in 1849 when she was in her 20s and spent the next two decades dedicated to the abolitionist cause in the most dangerous, hands-on way. She personally risked her life returning to Maryland no fewer than 13 times to free 70 of her families members and other slaves, guiding them up north over the Underground Railroad to safety, which after the Fugitive Slave Act of 1850 made the north almost as terrifying a place for escaped slaves as the south, often meant Ontario. Abolitionist journalist William Lloyd Garrison nicknamed her “Moses” because she led her people out of slavery. 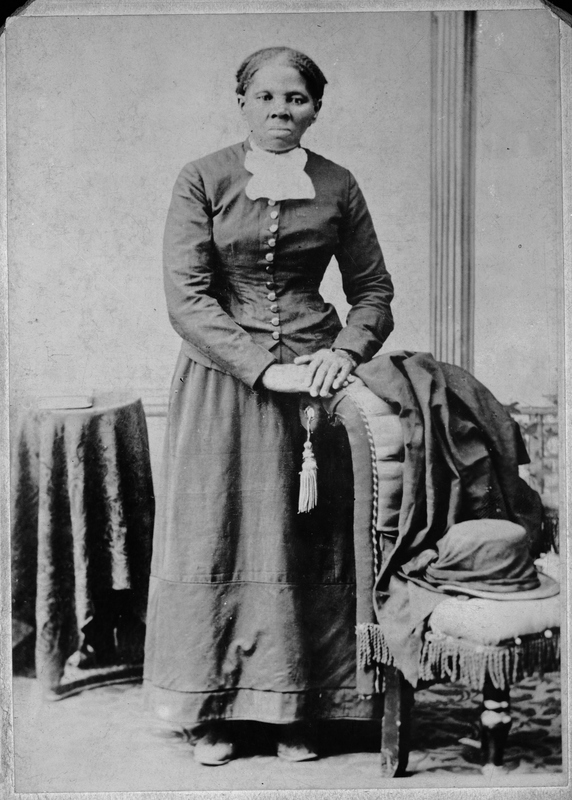 During the Civil War, Harriet Tubman was a Union Army scout, spy and guide of the successful Union raid on Combahee Ferry, South Carolina, which liberated 750 slaves. After the war, she worked several jobs to support her family, gave extensively to charity though she had very little, and was a tireless advocate for women’s suffrage. Tubman moved to Auburn, New York, in 1859 where she bought land from Senator William Henry Seward, future Secretary of State under Lincoln and engineer of the Alaska purchase under Johnson. 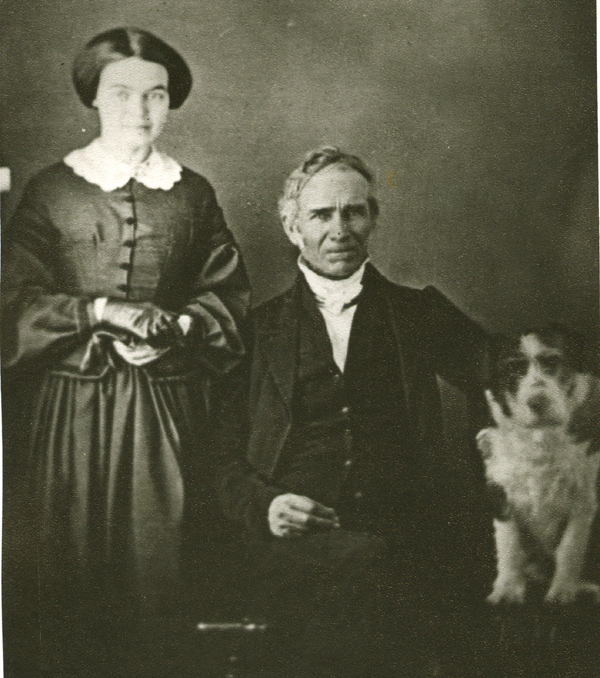 The Sewards were part of a tightly knit network of abolitionists in Cayuga County, Emily Howland among them, and Harriet and Emily soon met. They became life-long friends, and worked together in the suffragist movement. 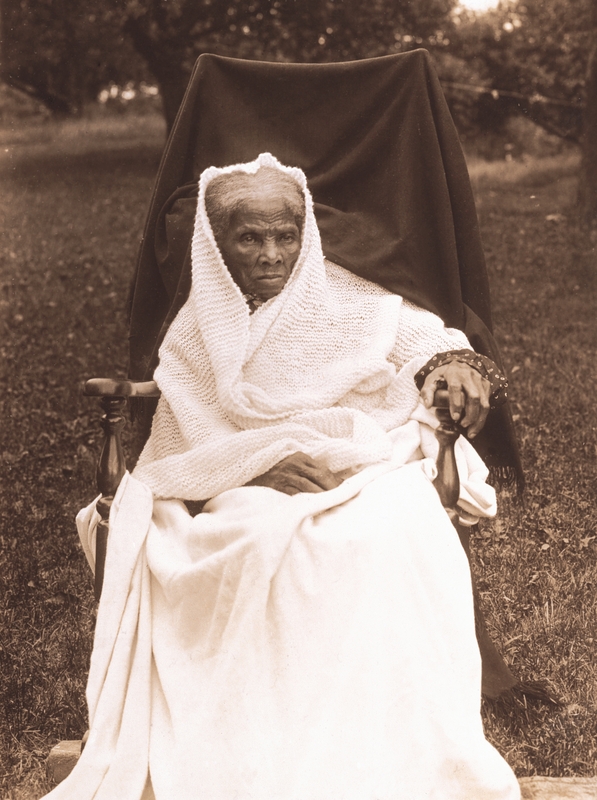 Harriet Tubman died in 1913 at around 90 years of age. Emily Howland lived to cast her first vote in the 1920 election at the age of 92 after the ratification of the 19th Amendment. She lived almost another decade after that, passing away in 1929 at the age of 102. The album has 44 pictures of prominent figures, including two of Tubman (the other is a very well-known full-length portrait of Harriet standing with her hands on a roll-back chair taken by Harvey B. Lindsley in the early to mid-1870s) and one of John Willis Menard, the first African-American elected to Congress in 1868. He would have represented Louisiana’s 2nd congressional district had he ever been seated, but his opponent, Caleb Hunt, lodged a challenge contesting Menard’s right to be seated which was ultimately decided by the full House of Representatives in neither’s favor. The black man was too black and the other guy didn’t even bother to show up, so they voted both of them down and left the seat vacant. The new photograph goes under the hammer at Swann Auction Galleries in New York City on March 30th. The carte-de-visite album will be sold in its entirety, including the pictures of Tubman and John Willis Menard. The pre-sale estimate is $20,000 to $30,000. This entry was posted on Wednesday, February 8th, 2017 at 11:59 PM	and is filed under Modern(ish). You can follow any responses to this entry through the RSS 2.0 feed. You can skip to the end and leave a response. Pinging is currently not allowed. Where escaped slaves and Jefferson Davis both found a warm welcome. ‘Holocaust songs’ recorded on more or less barbed ‘state-of-the-art’ wire, now black and white pictures of colored people ? PS: A bit off-topic, but I wonder what people used for ‘studio recordings’ prior to wires. Someone who should basically know is the following artist from Trinidad (much higher temperature averages! ), who was born in 1908, but unfortunately he died in 1999. Fritz Pfleumer had already granted to ‘AEG’ his patent from 1928 for building a practical tape recorder, the ‘Magnetophon K1’, introduced at the IFA in 1935 – remarkably in connection with a ‘Typ C ‘ magnetic tape by ‘IG Farben’. Thanks for another great post. I find this esp interesting because I was educated in Florida during the 60s and 70s and nothing like this was covered(surprise, surprise). Heck, we didn’t even get Memorial Day off as a school holiday because it was a ‘northern’ holiday. But! But! Memorial Day is the later incarnation of “Decoration Day” when Southern ladies decorated the graves of those killed in the War Between the States.